Above: one of our early press images with our label at the time, CBS Records, 1977. Right: Poster to promote the release of The Whole Thing's Started. Above: The Whole Thing's Started was our second album; It was produced by Dawkins and released in July 1977. Above: A biography sheet from one of first media kits, 1977. Right : Our first tour jackets, fall 1977. Above and Right: Images from a photo shoot, 1977. Left: Part of my first drum kit. Being in a rock and roll band for 40 years is something that I never thought would happen to me. 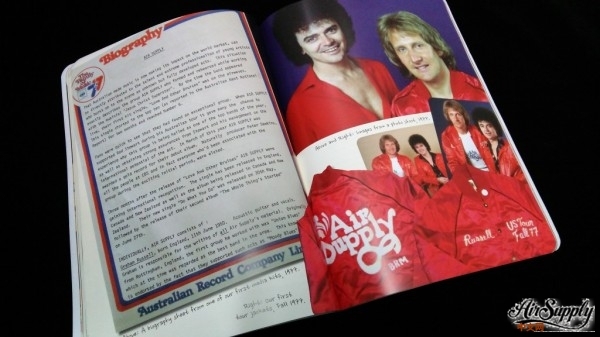 While there are many bands that have reached this milestone, there aren't many that continue to work at the pace that Air Supply does and that travel the distances that we do each year. I have always been so proud to be a part of this band. 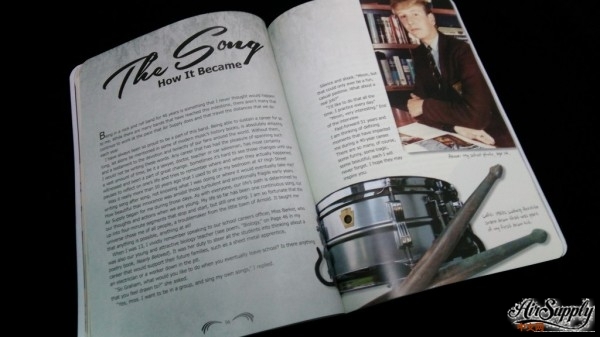 Being able to sustain a career for so long, let alone be mentioned in some of modern music's history books, is absolutely amazing and a testament to the devotion and tenacity of our fans around the world. Without them, I would not be writing these words. Any career that has had the pleasure of spanning such a vast amount of time, be it a lawyer, doctor, teacher or car saleman, has most certainly withnessed and been a part of great change. Sometimes it's hard to see those changes until one pauses to reflect on one's life and tries to remember where and when they actually happened. Was it really more than 50 years ago that I used to sit in my bedroom at 47 High Street writing song after song, not knowing what I was doing or where it would eventually take me? How beautiful that innocence was amidst those turbulent and emotionally fragile early years. 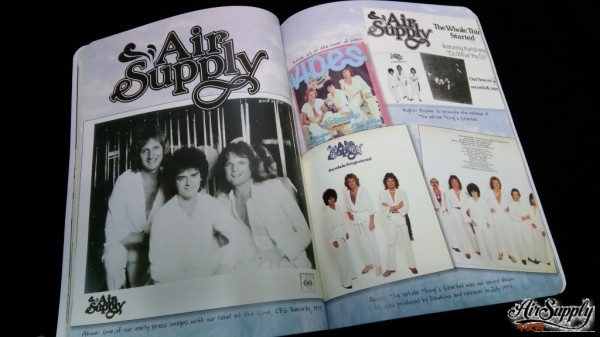 Air Supply began for me during those days. As with everyone, our life's path is determined by our thoughts and actions when we are young. My life so far has been one continuous song, out up into four-minute segments that stop and start, but still one song. I am so fortunate that the universe chose me of all people, a troublemaker from the little town of Arnold. It taught me that anything is possible, anything at all! When I was 13, I vividly remember speaking to our school careers officers, Miss Barker, who was also our young and attractive biology teacher (see poem, "Biology," on Page 46 in my poetry book, Nearly Beloved). It was her duty to steer all the students into thinking about a career that would support their future families, such as a sheet metal apprentice, an electrician or a worker down in the pit. "So Graham, what would you like to do when you eventually leave school? Is there anything that you feel drawn to?" she asked. "Yes, miss. I want to be in a group, and sing my own songs," I replied. Silence and shock. "Mmm, but that could only ever be a fun, casual pastime. What about a real job?" "I'd like to do that all the time. I practice every day." "Mmm, very interesting." End of the interview. Fast-forward 51 years and I am thinking of defining moment that have impacted me during a 40-years career. There are so many, of course, some funny, some tragic, some beautiful, each I will never forget. I hope they may inspire you.